Shopping for Hateful Eight Pop! Vinyl Figures? In post-Civil War Wyoming, bounty hunters try to find shelter during a blizzard, but get involved in a plot of betrayal and deception. Will they survive? This Hateful Eight John "The Hangman" Ruth Pop! 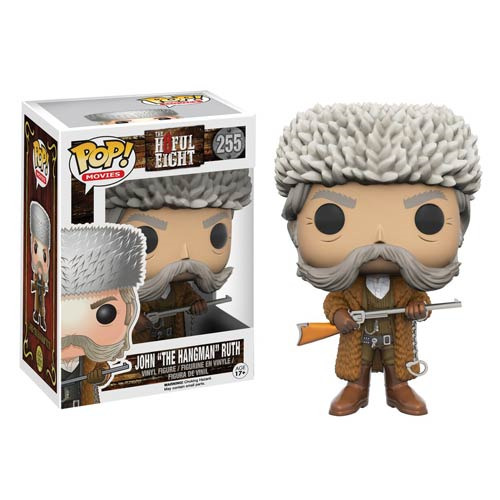 Vinyl Figure features Kurt Russel's character, his rifle in hand. This figure stands 3 3/4-inches tall in Pop! vinyl format, and comes packaged in a window display box. Ages 17 and up.